I'm getting so excited to do December Daily again this year. My kit from Ali Edwards arrived last week and I have been browsing the internet for inspiration. I love looking through everyone else's albums, so I thought I would share mine as well. Enjoy! Scroll through the gallery above to view my 2016 album. 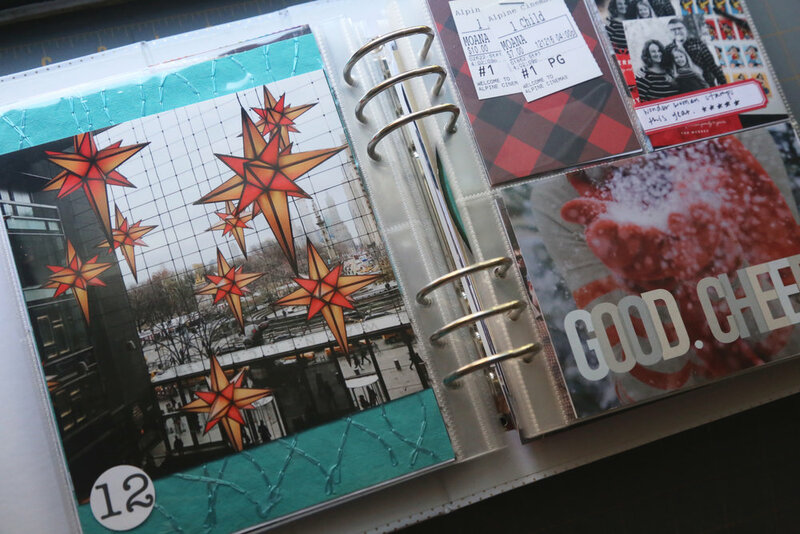 I tend to be light on the journalling and heavy on the photos, as you can see in my 2016 album. Hopefully to incorporate more writing in to this year's album! I loved using the Paislee Press mini kit last year and am doing the same again this year. I also LOVED having a space at the end of my album to store all of the wonderful photo holiday cards I received as well as a few special non-photo ones, too.